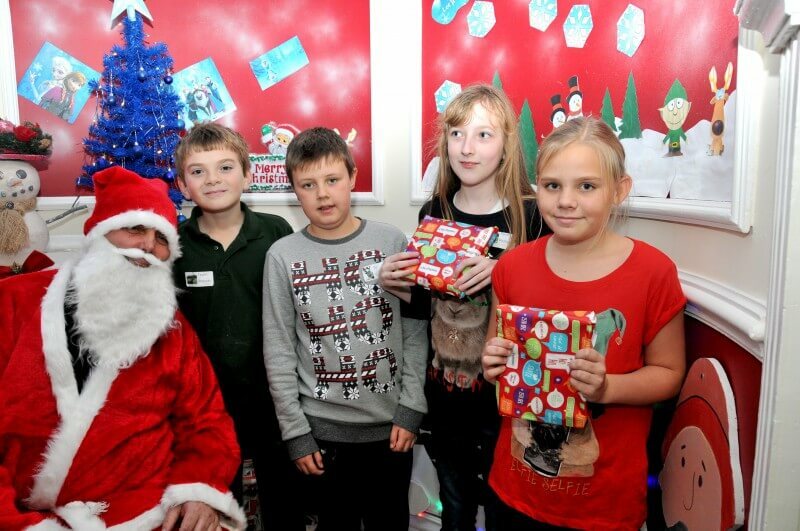 Pupils from Barugh Green Primary School visited a specially constructed Santa’s Grotto at Barnsley College. The group of 47 Year 6 pupils were invited to the College’s Barugh Green campus to take part in taster courses in trade areas including brickwork, painting and decorating, plastering, tiling, plumbing and joinery. Pupils had the opportunity to take part in a number of practical activities which included making teapot stands out of wood, making Santa mosaics, painting Christmas themes with stencils and making Christmas moulds from plaster. The pupils then had the opportunity to visit Santa in a grotto which was designed, built and decorated by Barnsley College Construction students as part of their course.